The Days of Johann, an agility dog! 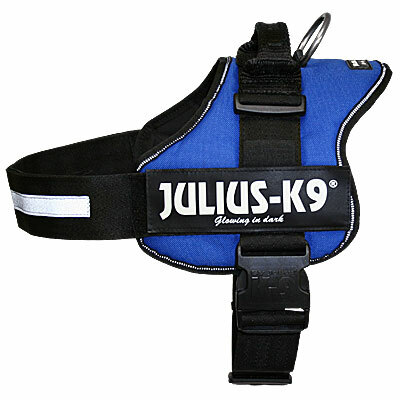 : Rehab and keeping in shape tools and info for the canine athlete! Rehab and keeping in shape tools and info for the canine athlete! With my iliopsoas pull, dislocated toe, back strains, shoulder soreness, and broken foot we've done a lot of searching around for resources to help me keep in better shape for agility and rehab from my injuries - everything from hill, woods and long distance hiking, to exercise ball work, core strengthening tricks, treadmill, hydrotherapy, wobble boards, chriopractic, accupuncture, massage and more. Since Mum has been doing all this research and been utilizing many tools and activities to help keep me in better shape, I have stayed in better shape. Haven't had a major incident in well over 18 months (knock wood) since we started a full program of conditioning and strengthening. We don't profess to be experts in this line of information, but we have done a lot of reading on the subject, and put together tons of research links to continue reading and learning, and to help me stay in better shape; information we wanted to share with you, that we've either used or have read about and are interested in, so that you can be more informed in finding the right tools and information to help keep your dog athlete in better shape, and find help with your rehab needs. First, I'd like to share the Squidoo Lens I made on Canine Athletes. It has a lot of our research links all in one place and covers everything from articles from Chris Zink on canine fitness, and Suzanne Clothier on why 'fluff can't go hup," to Dr. Gillette's articles on gait analysis, to articles on canine conditioning, massage, injury prevention, stretching and common injury information for agility dogs. There are even links to rehab facilities, videos of stretching, and some of my work on my treadmill and exercise ball. This lens is a tool we update regularly and refer to often to bone up on information, or research something new to us. Some of the great conditioning, strengthening and rehab tools on the market range from exerise balls, treadmills, wabble boards, hydrotherapy machines, to books, DVDs, ice, heat and magnetic therapy packs, and more. 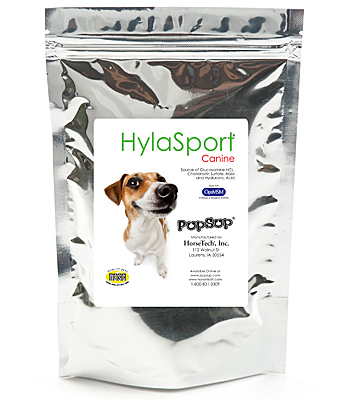 Here is just a sampling of some of the great products on the market we have found that can help your pup stay in the best shape possible, and where you can find them. We particularly like the new Canine Icer - ice, heat and magnet wraps. (Again, be sure and click the drop down for all to see all of the products). They have wraps for groin (for that nasty iliopsoas), carpel, shoulder, hip, and more. Also on the top of our list is the FitPAWS Peanut Balls, good for many size dogs, and great for working core strengthening and general muscle development. They also have the new Balance Pods that can be great for working specific isolated muscle groups. When I was getting over my broken paw, Mum used bricks for the same purpose to help me work specific muscle groups, after loosing a lot of mass. 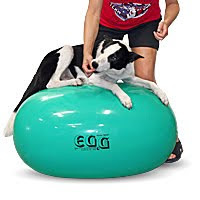 Clean Run also has a few other tools, like Balance Domes, Balance Discs, and the FitPAWS Egg Balls. I'm a small guy, so Mum ordered a human exercise ball for me which works great. 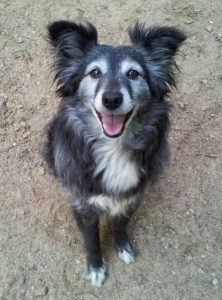 But Gracie is more BC size, so we are looking at getting a Peanut Ball for her. Clean run also has a slew of DVDs and books (click on the drop down for all) that can help you learn and know how to use some of these tools, including the Get on the Ball DVDs to help you learn the proper ways to utilize exercise balls. There are also books on stretching, massage, building the canine athlete and more. There is also a Strengthening the Performance Dog: Video on Demand for only $9.95. It's the same video as the DVD, but at a much lower cost. My overall favorite book is The Agility Advantage by Chris Zink, one of the stables in our dog library. Dogwise also has a lot of books and DVDs on stretching, massage, accupuncture, accupressure, reiki and more. So, what else is out there? Treadmills are becoming more and more popular for helping to condition, and rehab the canine athlete. I use a human treadmill, because I am small and can get a full stride on the belt. That's what we have found and read that is key to working out on a treadmill. 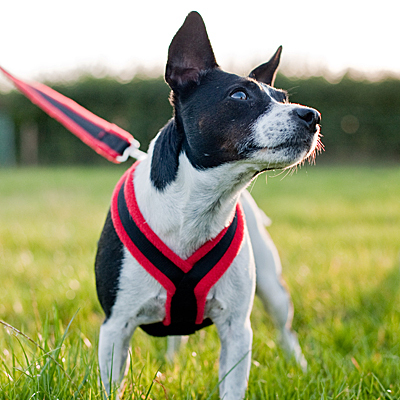 If your dog is larger, you will need to look into a treadmill just for dogs, because the belts are longer and can accommodate the longer stride you'll need for a larger dog. 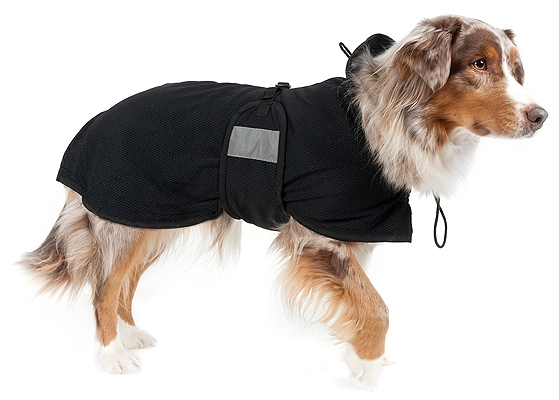 You can read more about training your dog to walk on a treadmill from our Squidoo lens. There are several dog treadmills on the market, all pretty much comparable. 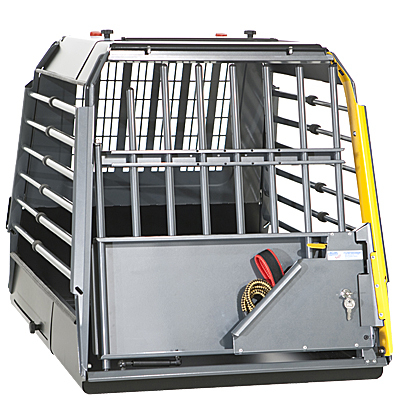 One of the companies that we are associated with, AffordableAgility.com, is offering the PetZen Dog Treadmill (now at a sale price, as well). They are more expensive than most human treadmills, which you can easily find used on Craigslist, local eBay, or similar site. But the dog treadmill is a must for any larger dog. Here are a few informational resources to get you started in learning about various modalities. Just not room for everything, but like my Mum always says, one thing leads to another. Canine Massage - The benefits of massage are great. It can promote good circulation and flexibility, and alleviate arthritic pain. Other benefits include aiding in surgical recovery, helping pets heal from emotional or physical traumas, and improved muscle tone. Canine Acupuncture - Acupuncture is a deep, internal therapy that works by inserting tiny needles into various identified points on your dog's body. It originated over 3,000 years ago as part of a holistic healing system called Traditional Chinese Medicine. Chinese medicine holds that all animals (and humans) have a "life force" called qi that moves through the body through pathways called meridians. Specific points on these meridians that are located close to the surface of the body, then, can be accessed via small needles or lasers to re-establish balance in the movement of the qi. Canine Chiropractic - Veterinary chiropractic also known as Animal chiropractic, is an emerging subspecialization for Doctors of Veterinary Medicine (DVMs) and Doctors of Chiropractic (DCs) to provide spinal manipulation, manual therapy and other holistic and conservative techniques for animals. In concert with conventional veterinary care, use of veterinary chiropractic reflects the use of complementary and alternative veterinary medicine which continues to grow within the veterinary community. Proposed benefits of animal chiropractic include, enhanced performance, function and quality of life. Other modalities (with links for more information) include: acupressure, laser light therapy (like Vetrolaser), magnetic therapy, homeopathy, chinese medicine, flower remedies, color therapy, nutrition and more. One thing we've learned is that when us pups get an injury, sometimes it can be very difficult to get a correct diagnosis. When I got my iliopsoas pull, it was difficult to find out exactly what was wrong with me, so that we could proceed with a course of treatment to get me well. Here is a listing of some of the top canine rehab facilities and organizations in the country that we've found so far to help you find a helpful path to diagnosis and treatment.We know there are more great facilities out there, so if you have information you would like to share with readers of this post, please feel free to leave a comment! Veterinary Orthopedic and Sports Medicine Group - One of the first resources we found was Dr. Sherman Canapp's website for his practice. Dr. Canapp wrote a great article in Clean Run on the iliopsoas, which helped us learn a lot more when I got my pull. Dr. Canapp has written several articles on dog agility injuries in Clean Run. You can see a few of them on Dr. Canapp's website. Canine Sports Productions is Dr. Christine Zink's website. She is the author of one of my favorite books - The Agility Advantage. 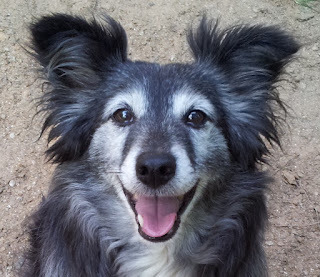 Her website has a couple of articles on canine fitness. Chris Zink, D.V.M., Ph.D., is a consultant on canine sports medicine, evaluating canine structure and locomotion, and designing individualized retraining and conditioning programs for canine athletes. She is the award-winning author and presents Coaching the Canine Athlete® seminars worldwide to rave reviews. Canine Rehabilitation Institute - Dr. Canapp is a member of this faculty, along with Dr. Zink. The Canine Rehabilitation Institute's sole purpose is to certify and train veterinary and physical therapy professionals throughout the country. You can also search on their website for certified local practitioners in your area. TOPS Veterinary Rehab - Laurie McCauley DVM, a veterinarian certified in acupuncture and chiropractic, is the founder of TOPS Veterinary Rehabilitation, one of the most advanced and respected rehabilitation clinics in North America, located in the Chicago area. Wizard of Paws Physical Rehabilitation for Animals - Dr. Debbie Gross Saunders is a certified canine rehabilitation practitioner and licensed physical therapist with more than 16 years of experience in the field of canine rehabilitation. She specializes in the performance dog and owns Wizard of Paws Physical Rehabilitation for Animals, a rehabilitation and physical conditioning center for canines. Dr. Saunders is also a key faculty member at the University of Tennessee’s Certificate Canine Rehabilitation Program. 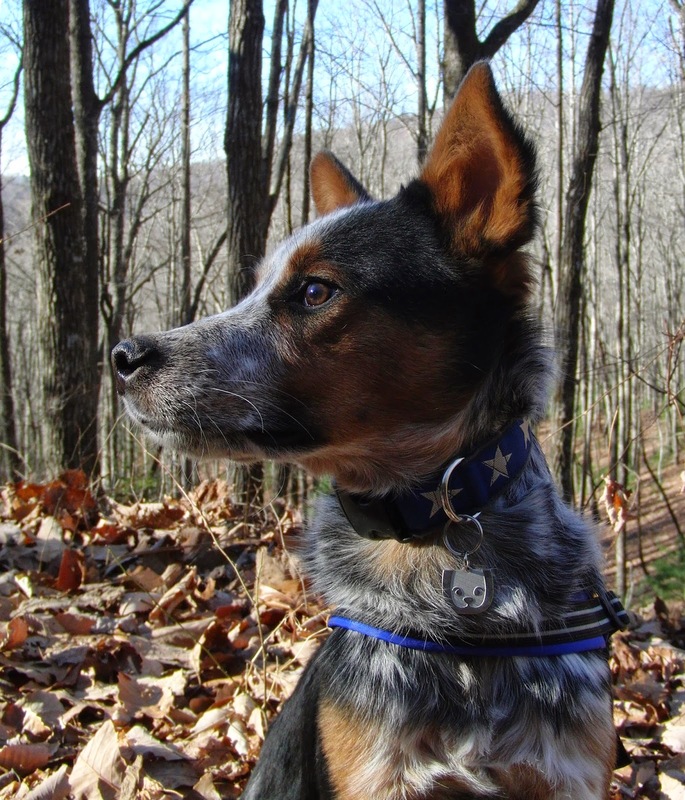 The University of Tennessee has a certification program in canine rehabilitation, as well as a list of certified resources throughout the world. Also the The Small Animal Rehabilitation Clinic at UT's College of Veterinary Medicine is leader in the area of physical rehabilitation of small animals. Animal Rehabilitation and Wellness Hospital in Raleigh, NC offers rehabilitation services, wellness and conditioning, orthotics, prosthetics and assistive devices. Animal Rehabilitation Center in Windsor, CT. The goal of their canine facility is to restore normal function to dogs with orthopedic or neurological impairments by improving their physical condition. Canine Physical Rehabilitation Center at the College of Veterinary Medicine at Ohio State University. The Center provides, underwater treadmill, terrestrial treadmill, low-level laser therapy, therapeutic ultrasound, electrical stimulation, massage therapy, gait training and more. The Orthopedic Foundation for Animals - Includes databases on many diseases which can affect canine performance, including hip dysplasia, elbow dysplasia, and cardiac murmurs. American Canine Sports Medicine Association - Information on the dog as an athlete, and medical and surgical problems of canine athletes. Again, if you have other links and facilities that you would recommend, feel free to add them in the comments section. And to see more visit my Canine Athletes Squidoo lens. We get a lot of questions about what I do to keep in shape for agility, now that we've participated in rehab several times and have put together a well rounded program. So I thought I would share what we do to keep me in shape, in hopes that it can help others. In addition to utilizing several of wonderful tools to help me stay in better shape, like the exercise ball and treadmill, I also participate in other activities. Hiking, weather permitting, is one of the best activities we've found for helping me keep in better shape. Jumping over logs, running on uneven surfaces, getting stuck in a little mud, climbing hills; these are all things that really work and build many of my muscle groups. During our hikes we also do some long distance walking on a path to help me build endurance. This past summer we were doing 5-7 mile hikes2-3times a week. Tricks are also something that we do on a very regular basis that are recommended and designed to help work various muscle groups. Begging (which works my core very effectively), push ups, turns (right and left), maneuvering through various obstacles like ladders and poles on the ground, walking on soft uneven surfaces, working on stairways, etc. When needed, I also get chiropractic to keep me in alignment and healthy, as a preventative. Also Mum has learned from several books how to stretch me out after a good work out, how to most effectively warm me up before activities, and how to massage me to keep my muscles loose, flexible, and in better health. Acupuncture, reiki and acupressure are also great practices that can help us pups (humans too, BTW), although I don't personally participated these practices very often. Another activity that I have participated in is hydrotherapy. To help me build back up after my broken foot, I went three days a week for three weeks. I highly recommend it, as it was very significant in helping me building up much of the muscle mass I lost after being in a cast for two months. And it's something that Mum wishes I could do on a regular basis. But it is expensive. Swimming is a fantastic way for pups to not only get and stay in great shape, but also great for rehab, if you have access to a safe pond, swimming hole, facilitiy or the like. Occasionally, I will get some tightness and soreness in my core muscle group. When that happens Mum takes me to my soft tissue specialist for a quick tune up. She will work on troubled muscle groups and perform some laser light therapy.Works wonders. As a general rule, I participate in a regular program of conditioning and strengthening through many or all of these activities, some on a daily basis, some on a weekly basis. 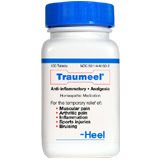 During the occasional times I may have pain and swelling, we've been using Traumeel. I can't take the usual prescribed pain medications because of my sensitive stomach. So, we've found Traumeel, a homeopathic remedy for pain and inflammation (made for humans) but works wonders for dogs as well. It includes arnica and other homeopathic ingredients. Mum will give me the pills (for 16 lbs, I take one to two a day), and will rub the ointment (not gel) on specific problem areas. You can find Traumeel at pretty much any health food store. Or you can get it through JohannTheDog.com in the first aid section. We hope this information has been helpful to you. If you have other information, links or thoughts, please feel free to leave them in the comments for others to read and learn! Gosh, Johann, that is a lot of good and useful information! Thanks for sharing it and it's so good to know you are doing well and staying fit and strong! This is a FABULOUS chunk of information!! Thank you for all the links! We also do a lot of core conditioning and exercises using he various exercise balls, discs, and other equipment. 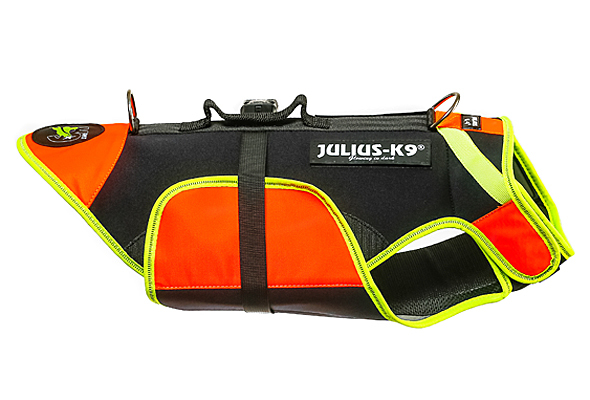 It's a lot of fun for the dogs, a great way to exercise inside when the weather isn't great, and it's something new and interesting for the handler to do. This is a great post. I'm going to save a copy of the page on my desktop so I can refer to it when necessary instead of having to search your blog. I thought the peanut-shaped fitballs looked interesting and I was glad to see they ship deflated!